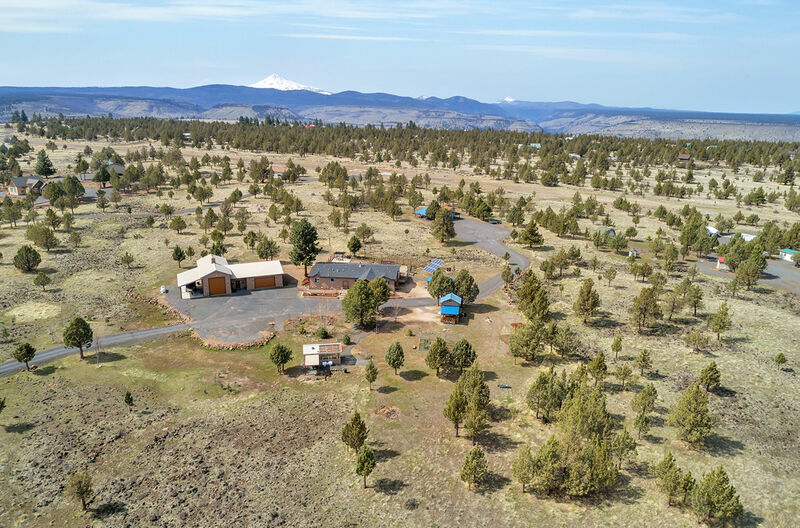 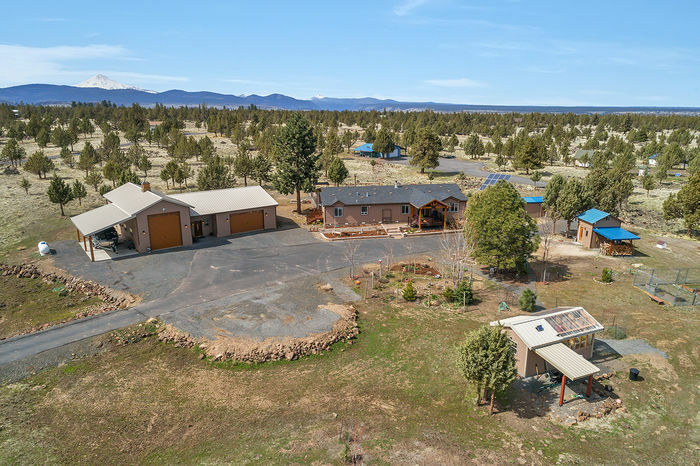 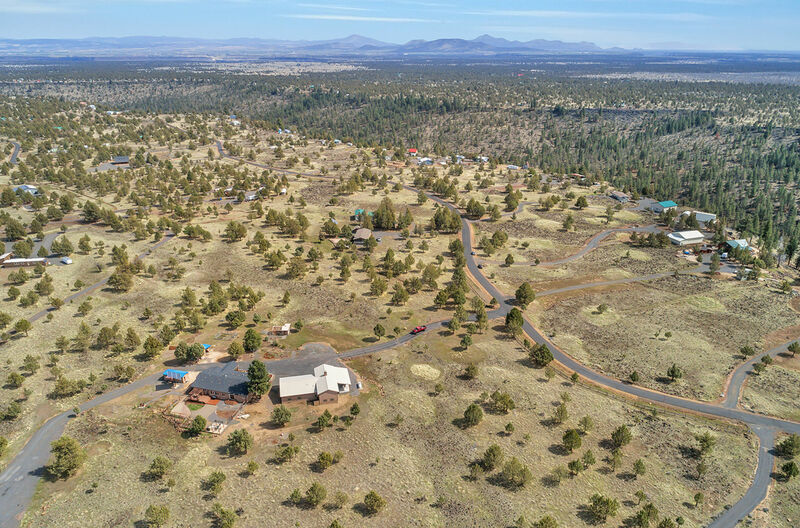 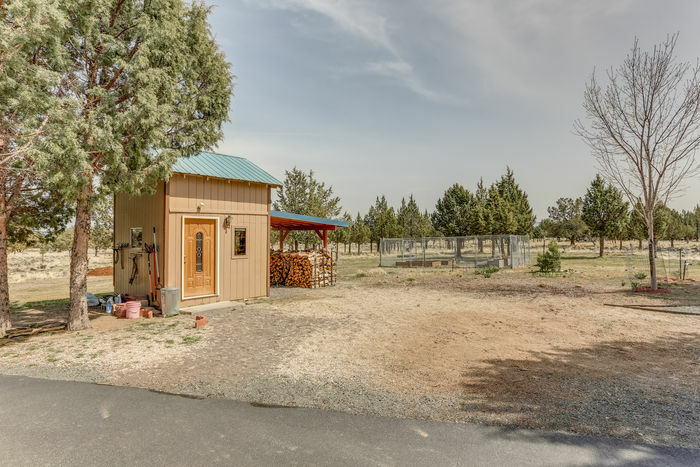 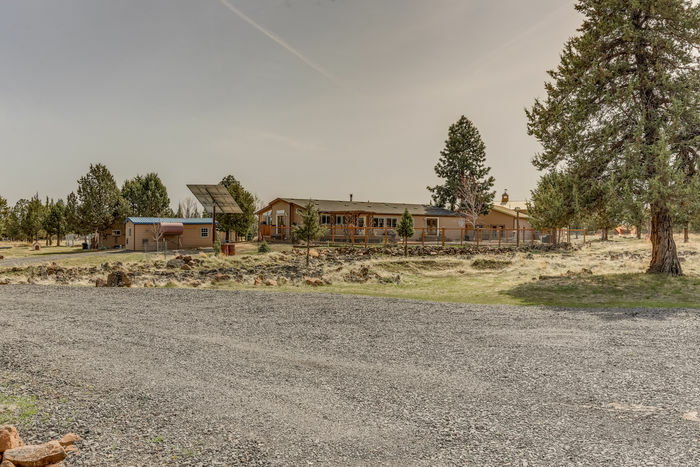 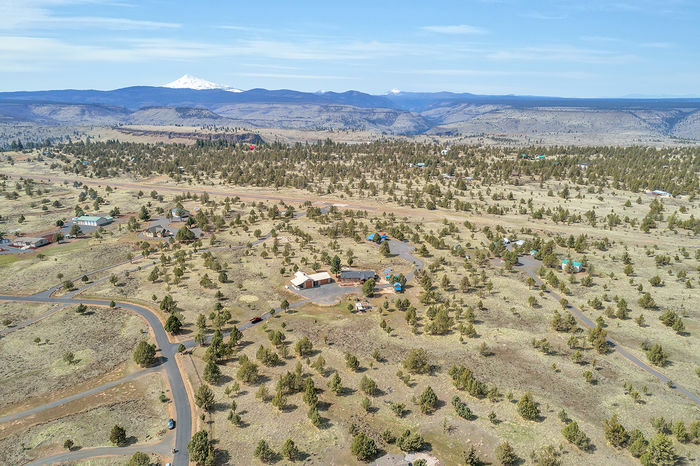 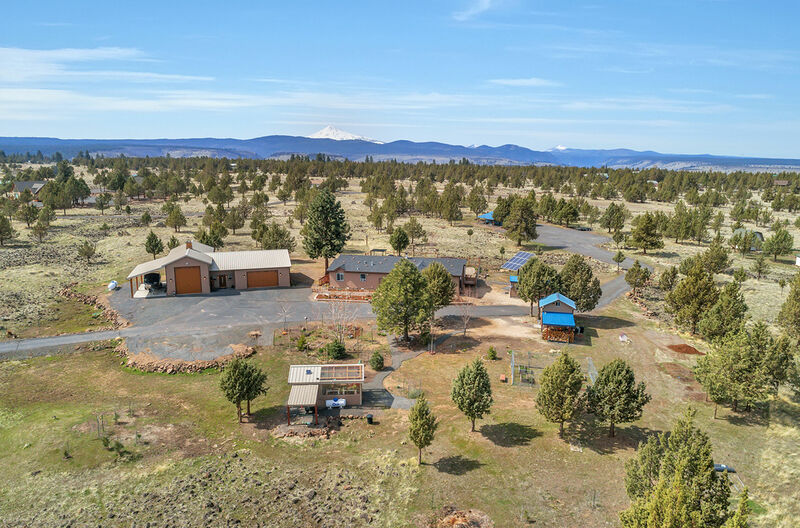 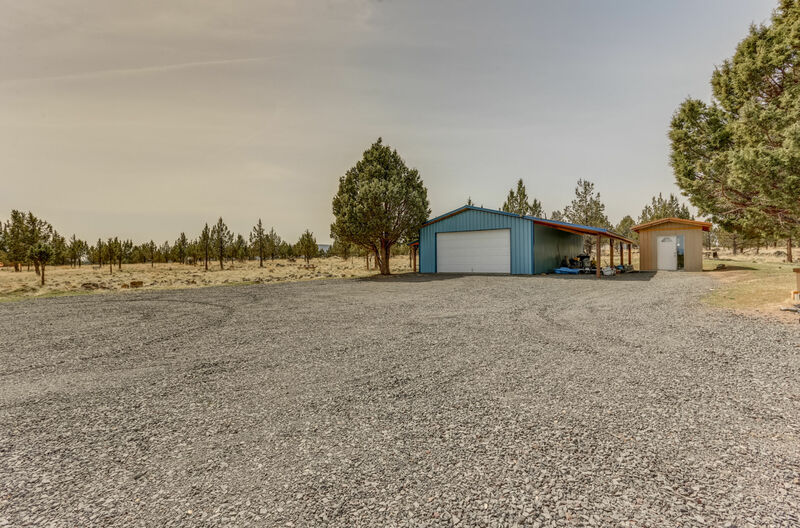 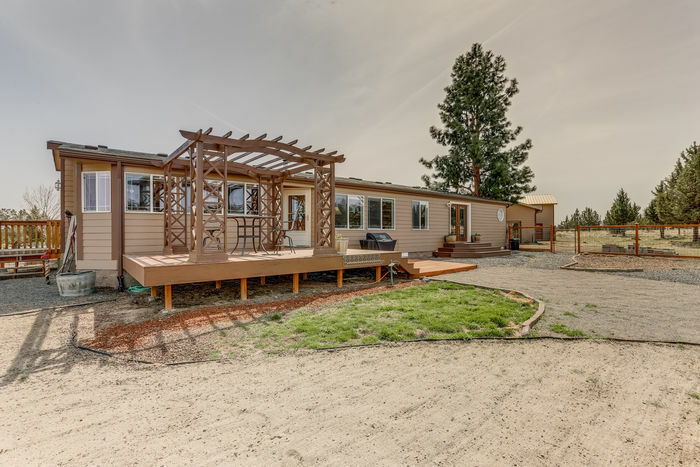 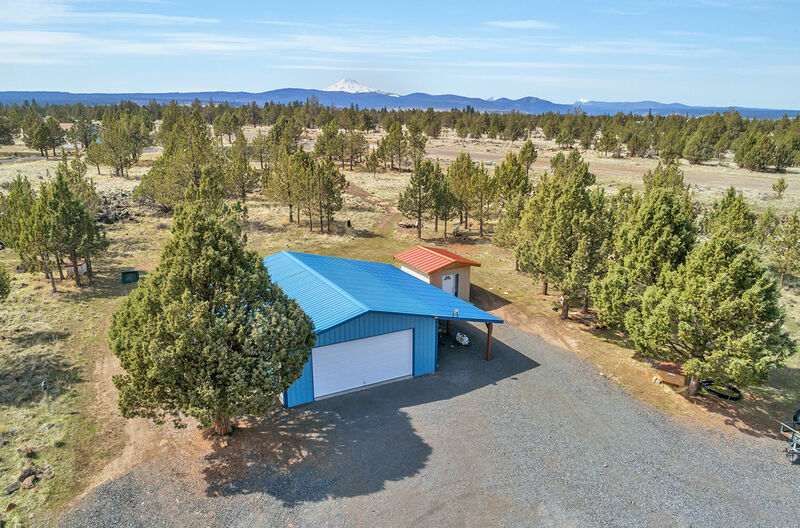 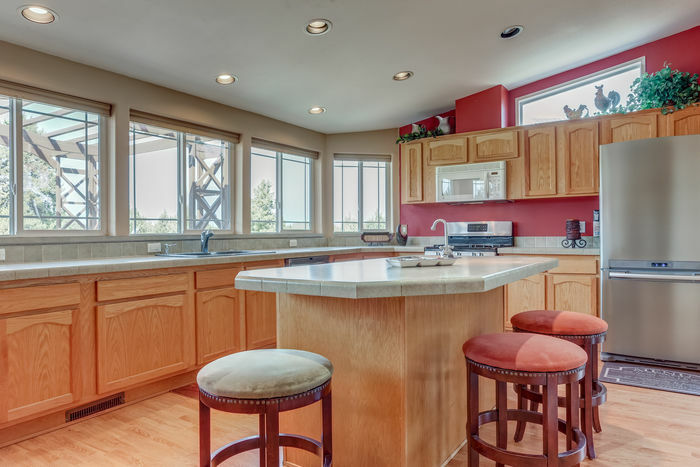 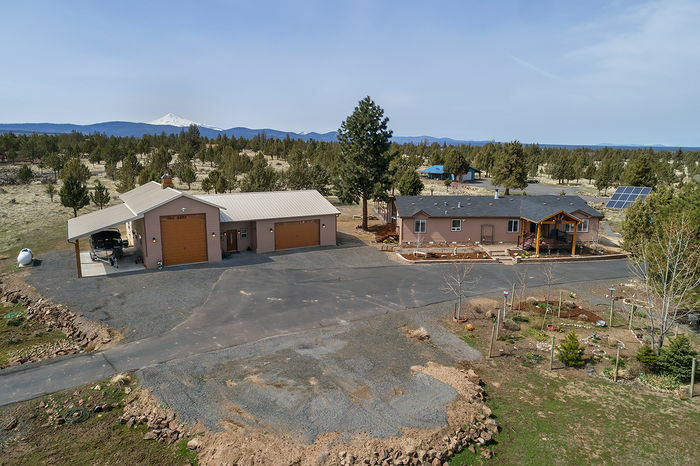 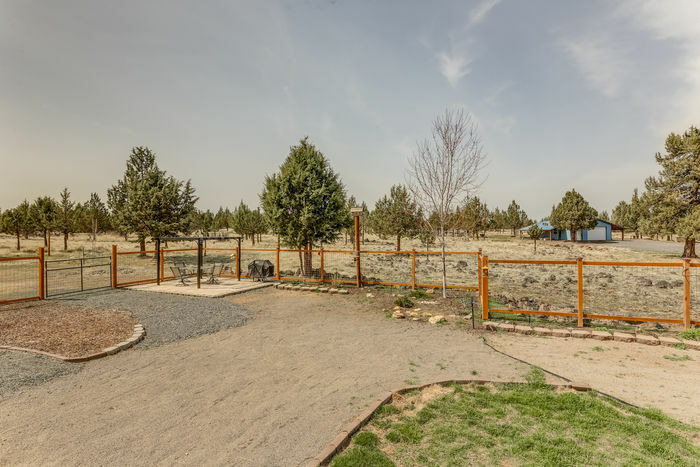 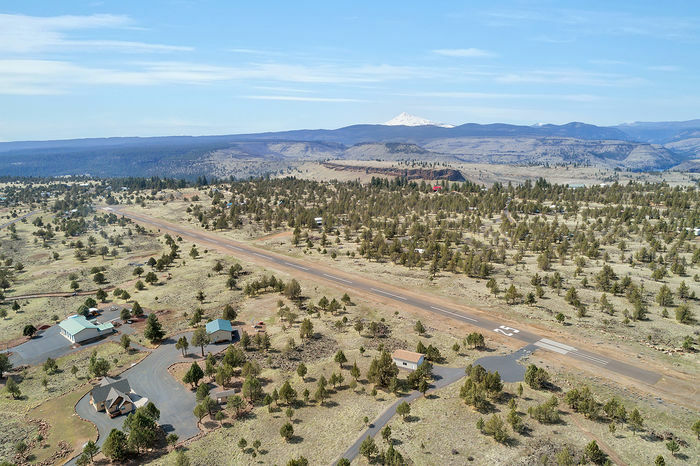 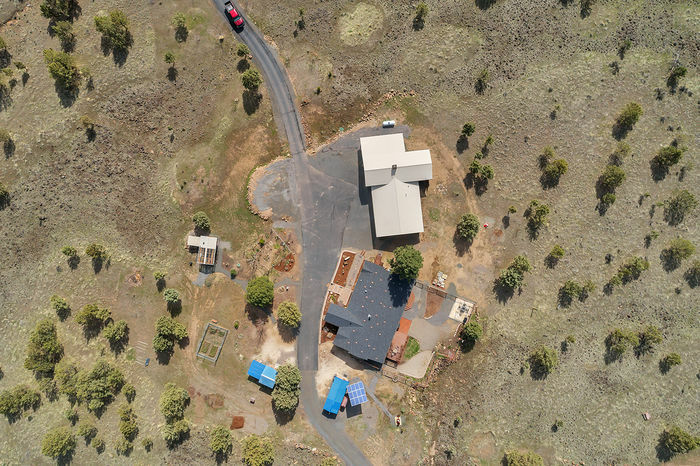 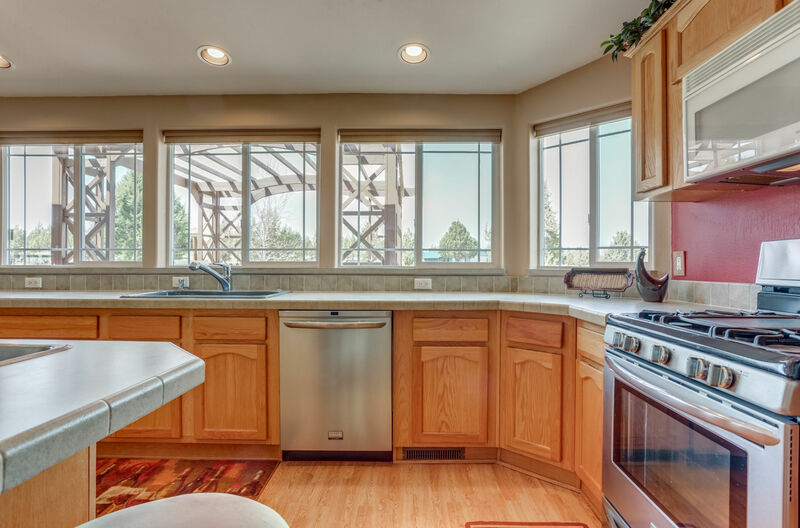 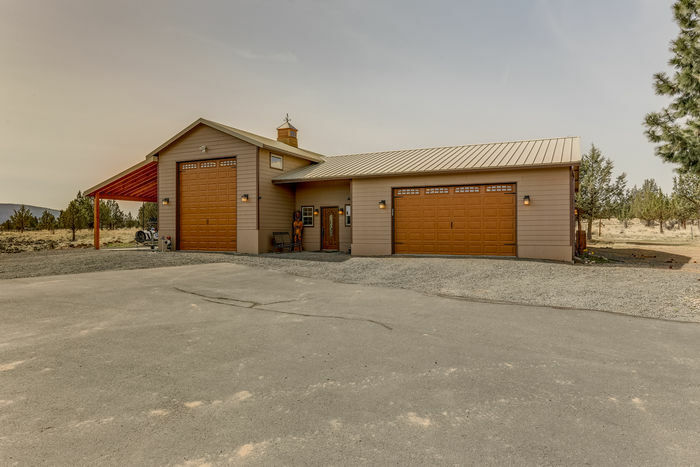 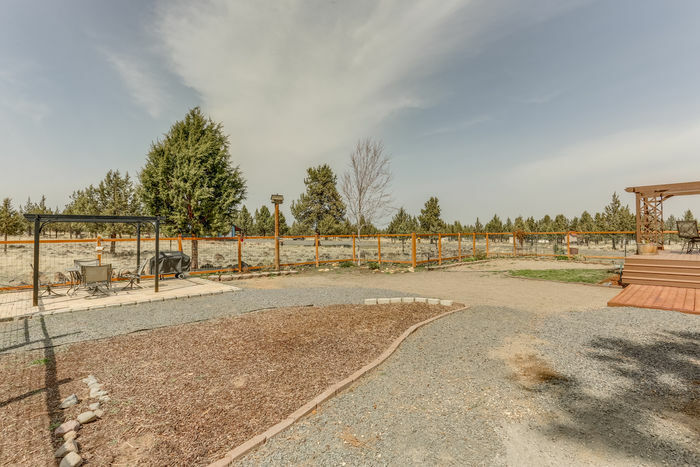 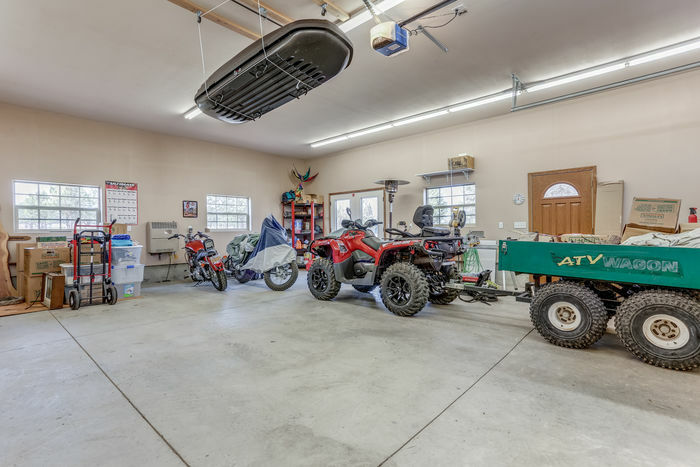 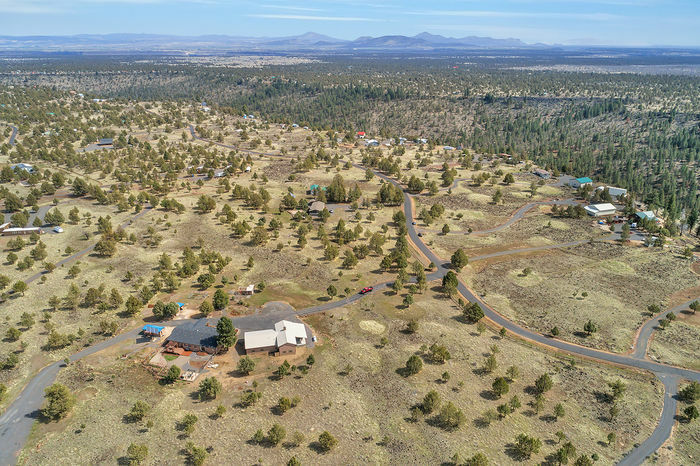 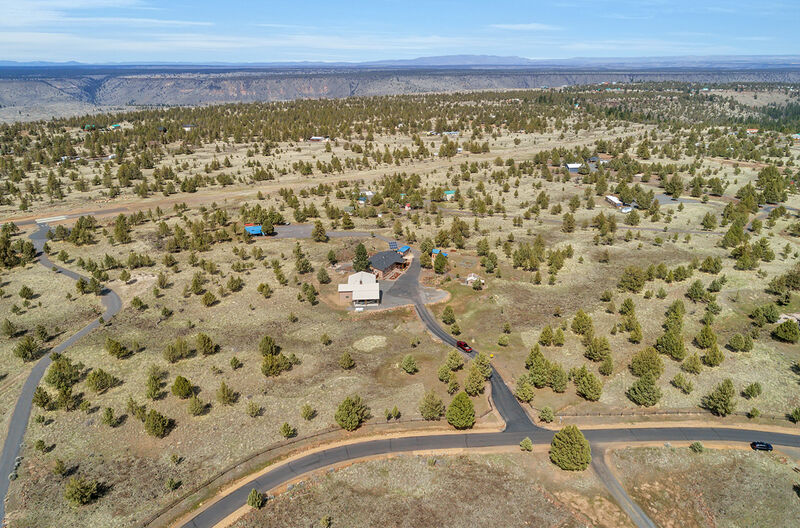 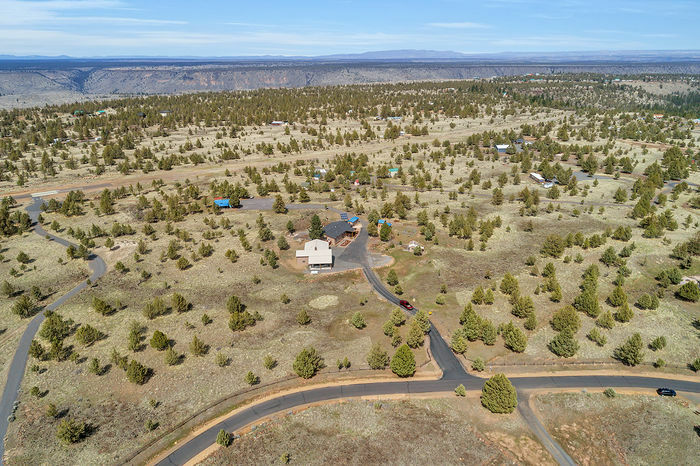 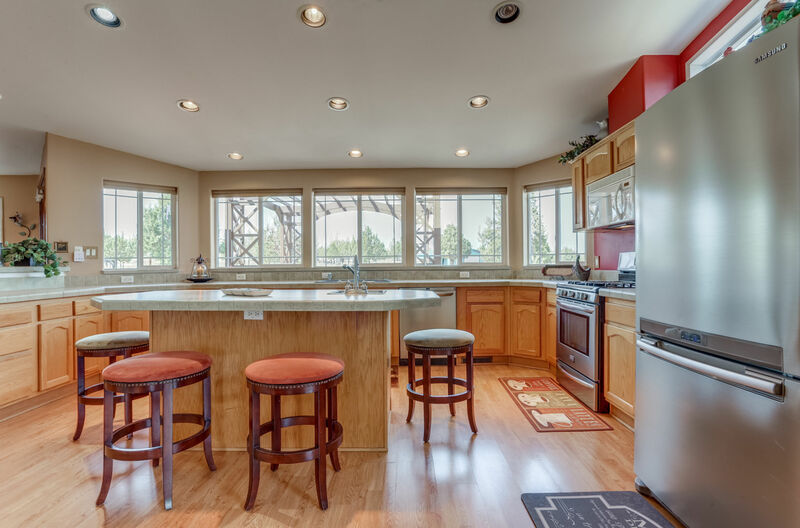 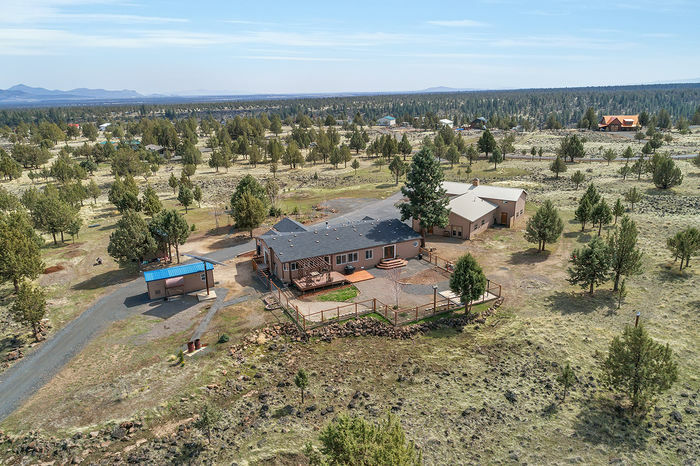 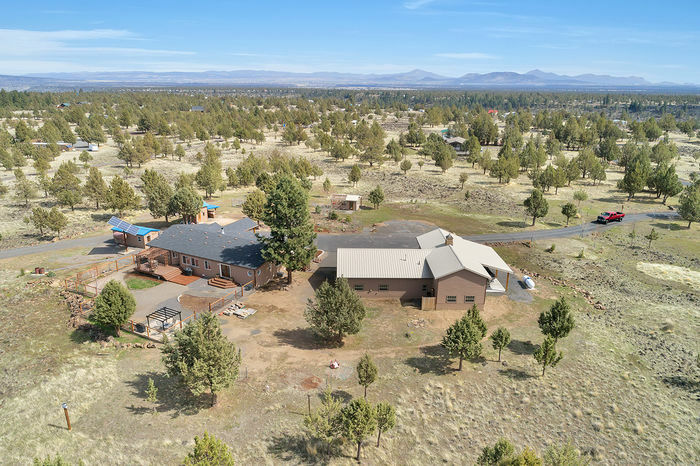 Located on the Metolius river arm, an off grid gated community, with this property backing up to a private airstrip. 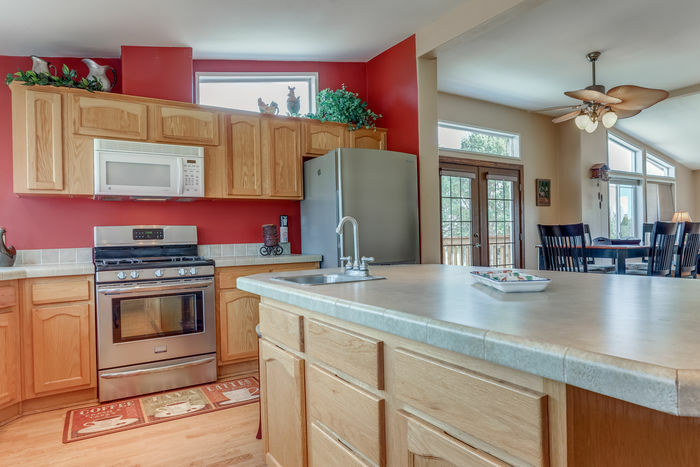 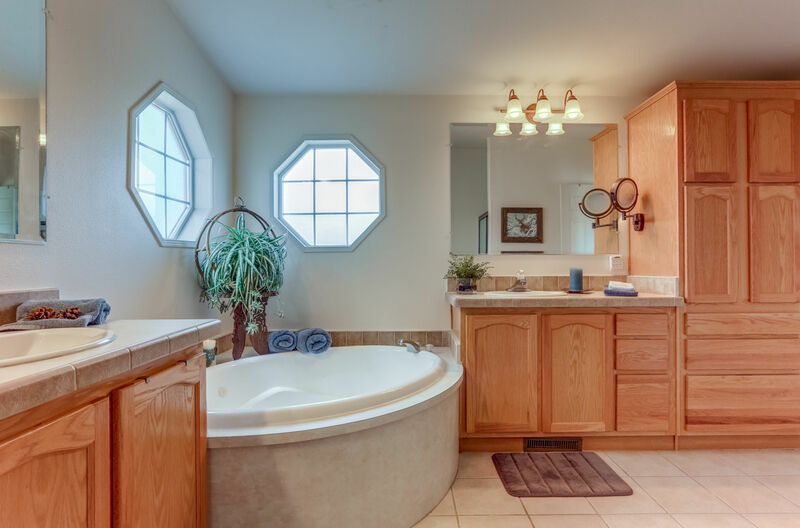 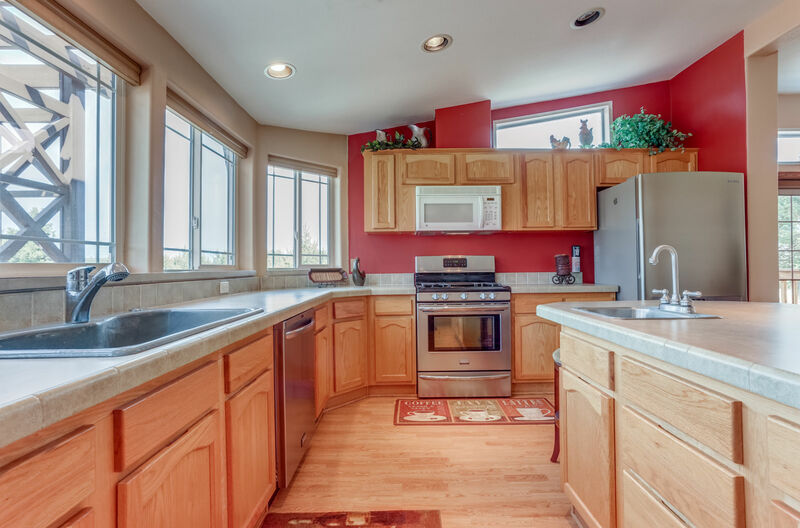 This is a complete package, ready for full time living or vacation home on 5.81 Acres. 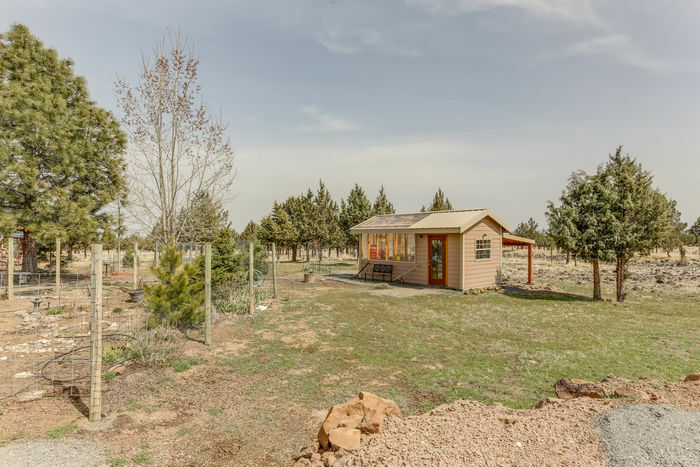 Fabulous solar system, backup generator and private well. 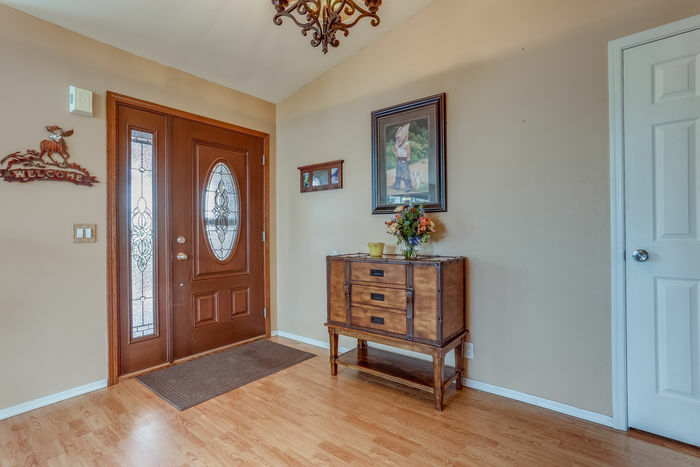 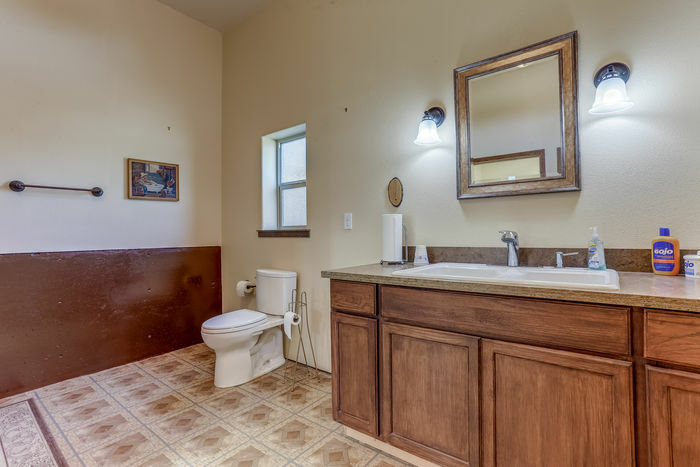 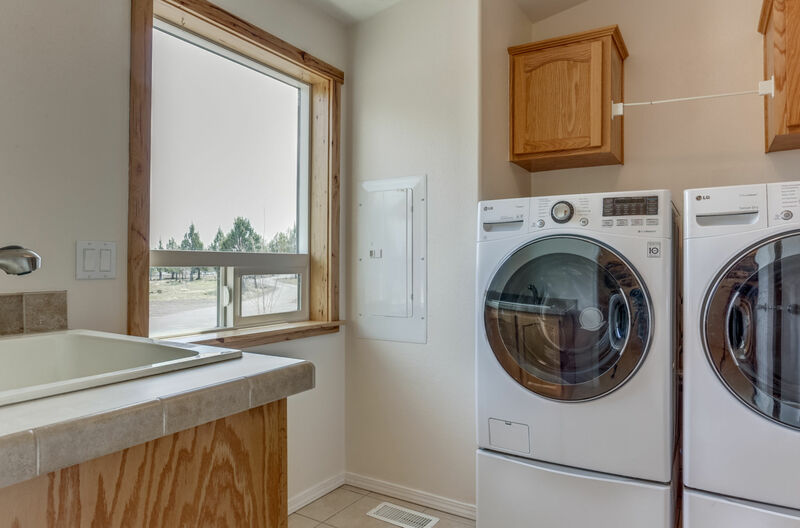 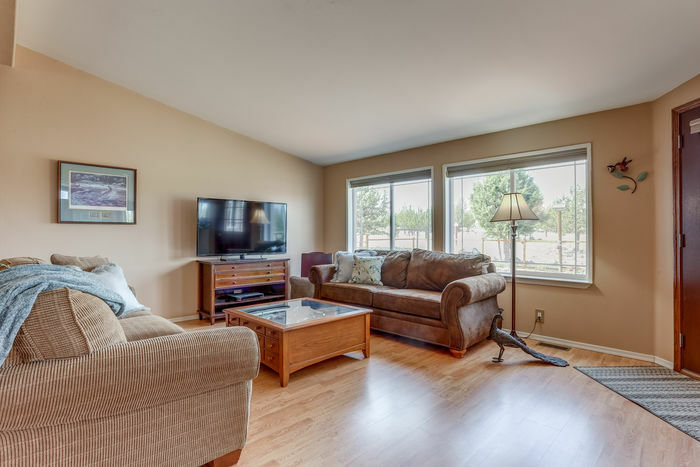 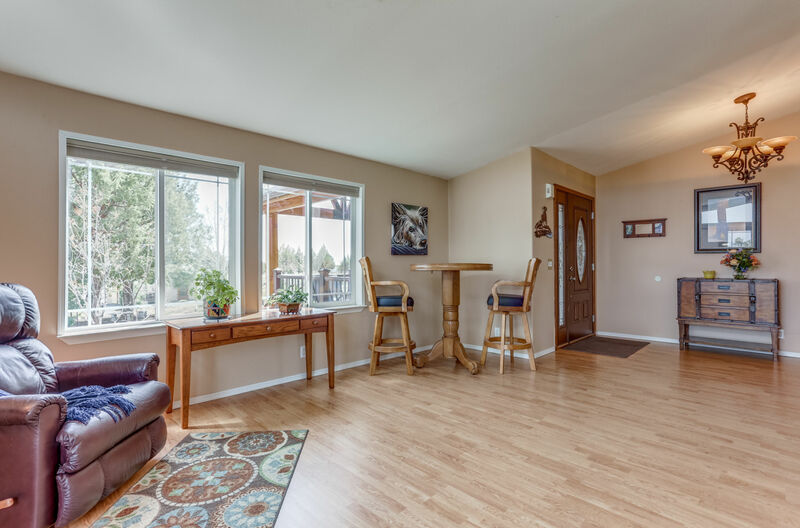 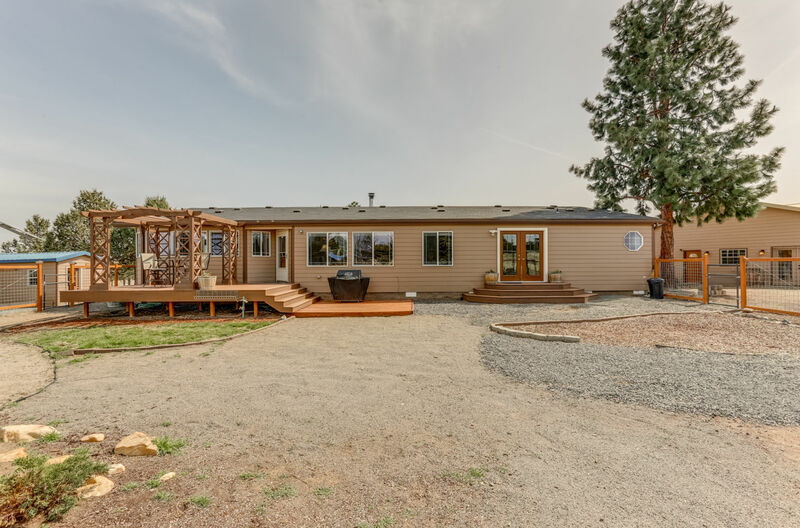 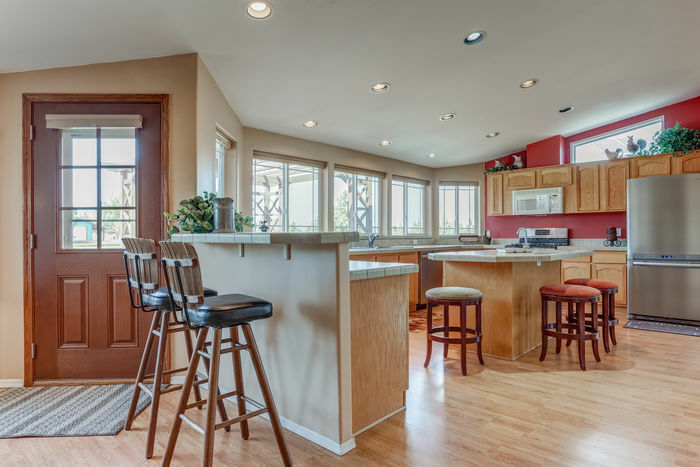 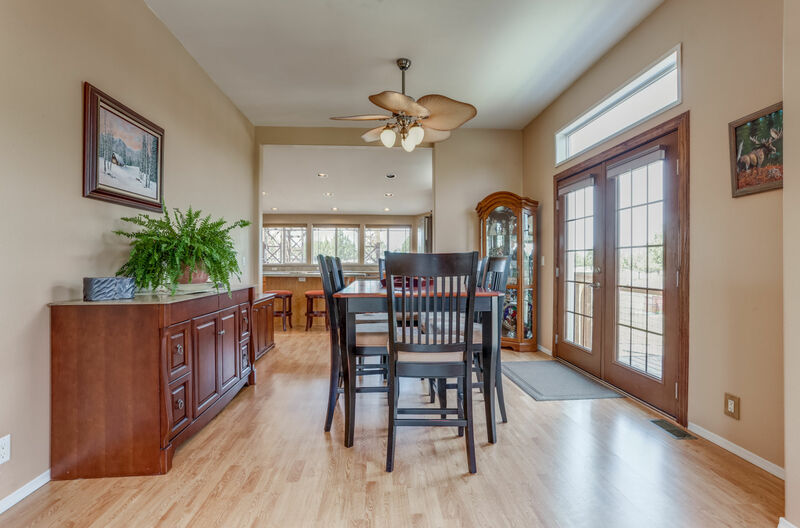 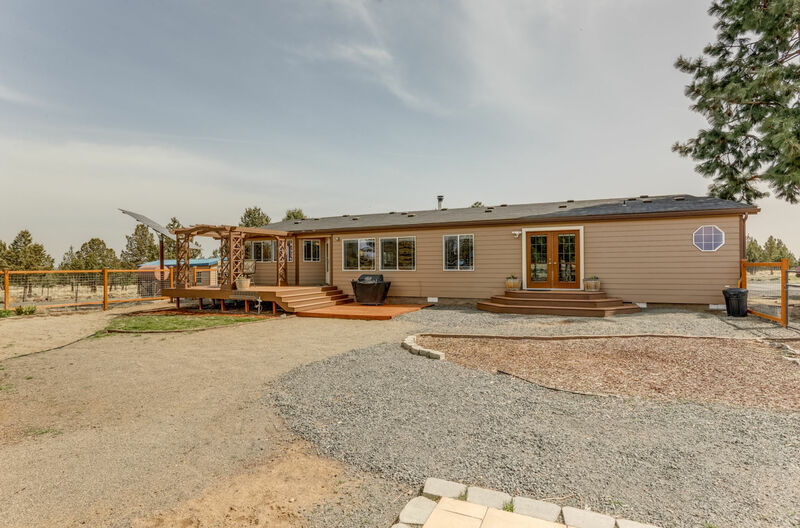 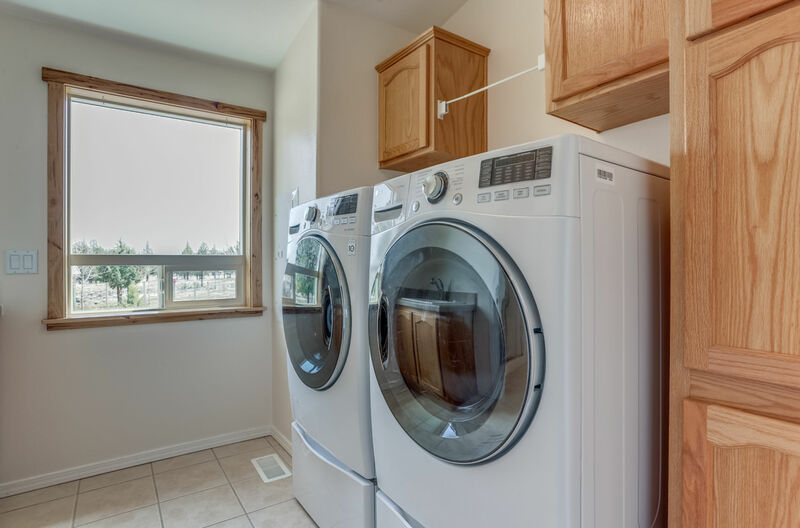 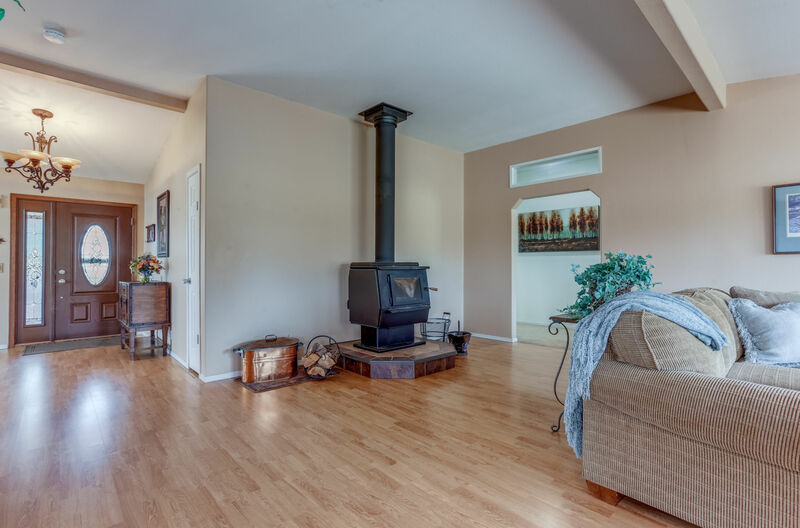 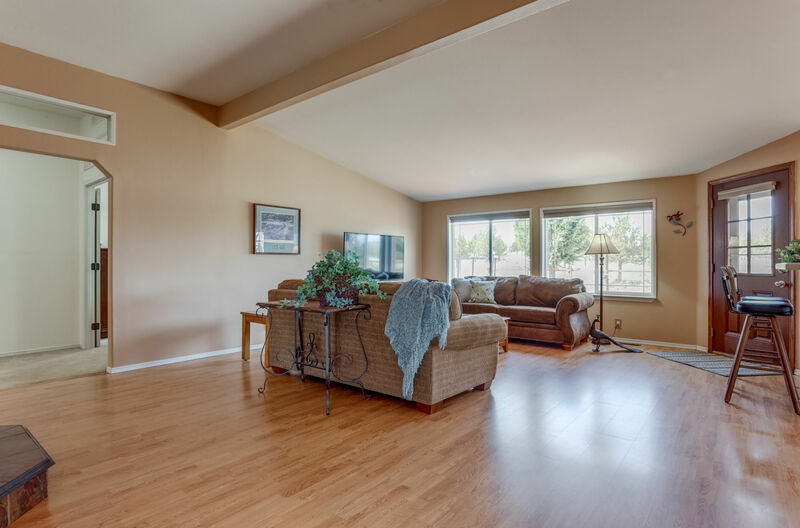 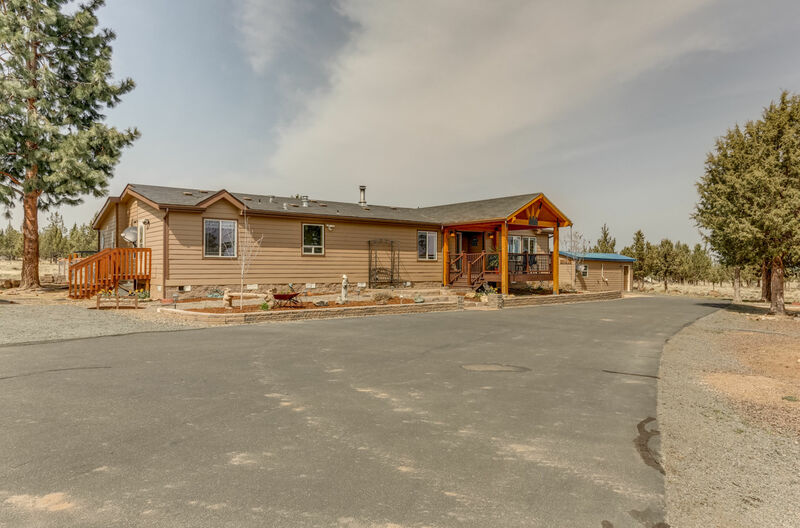 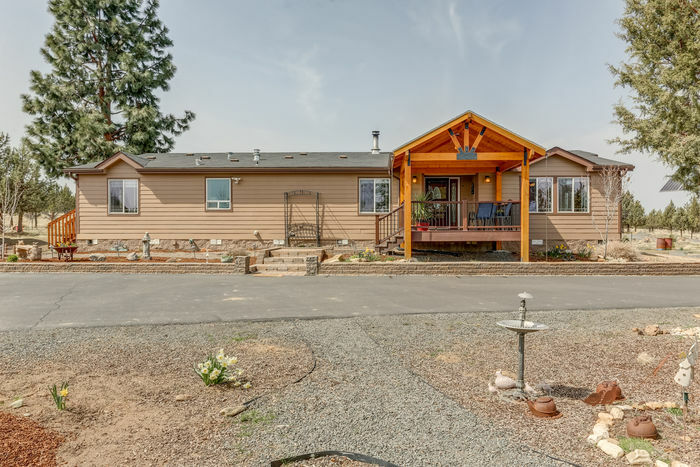 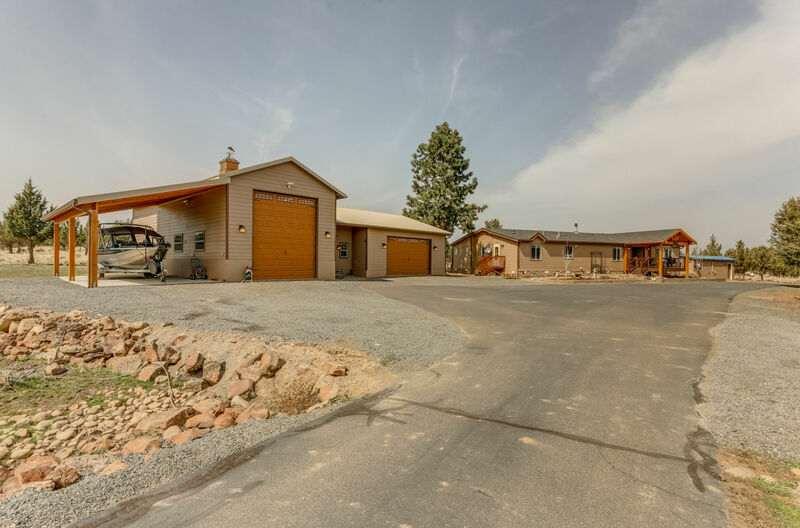 Paved driveway leads to triple wide manufactured home, featuring large open kitchen, walk in pantry, eating bar and island for easy entertaining. 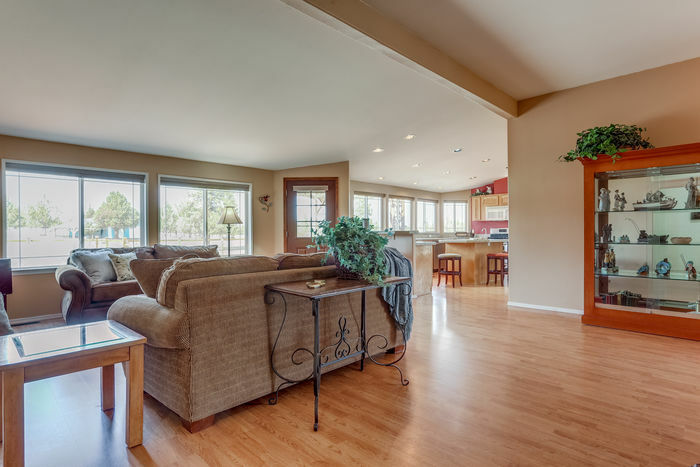 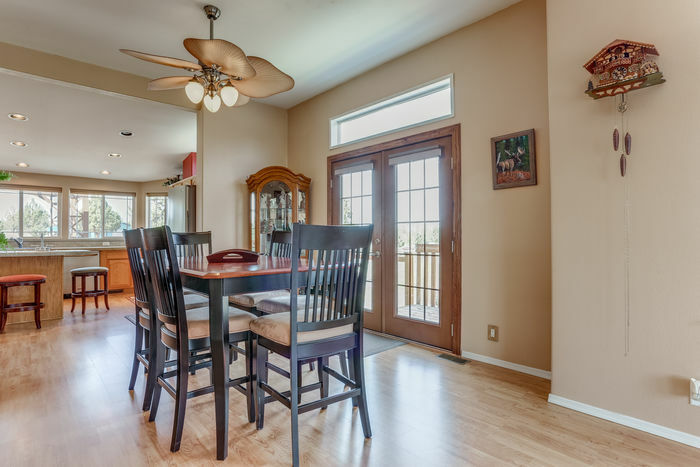 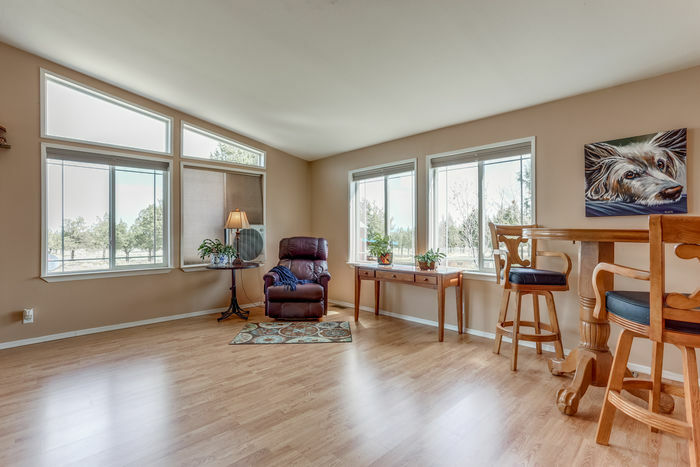 Formal Dining Area, Living Room, and Great Room. 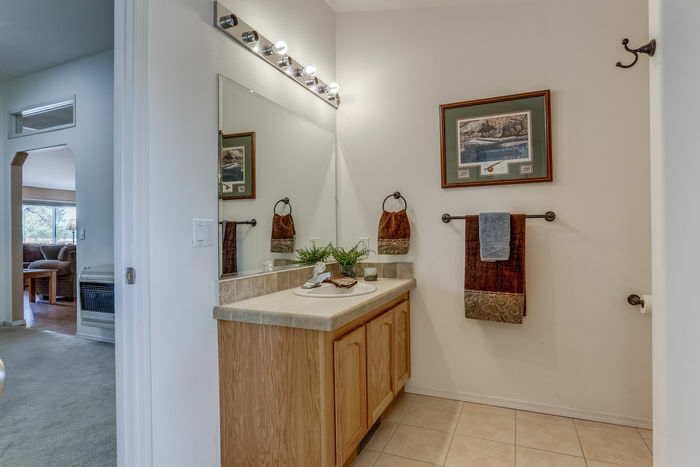 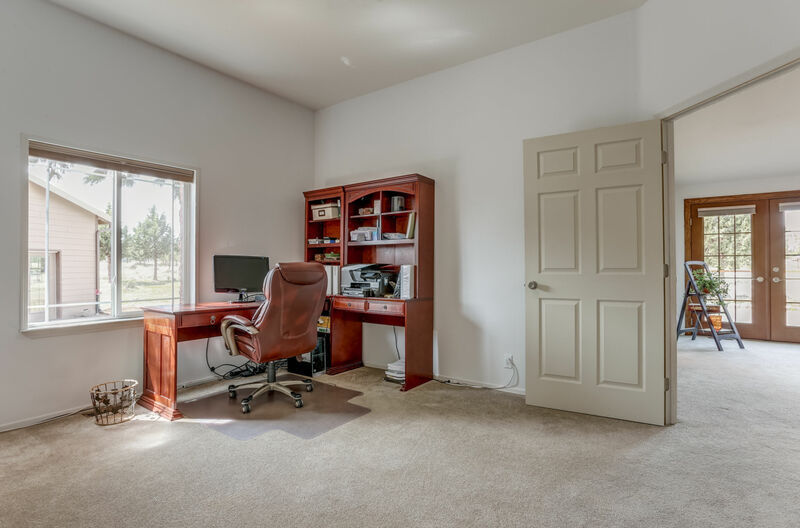 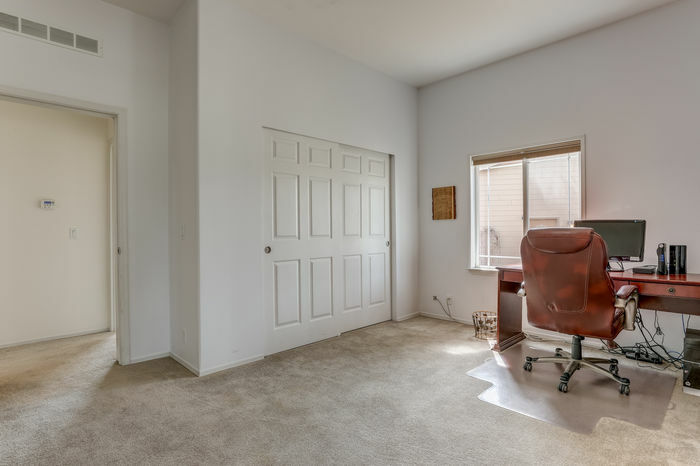 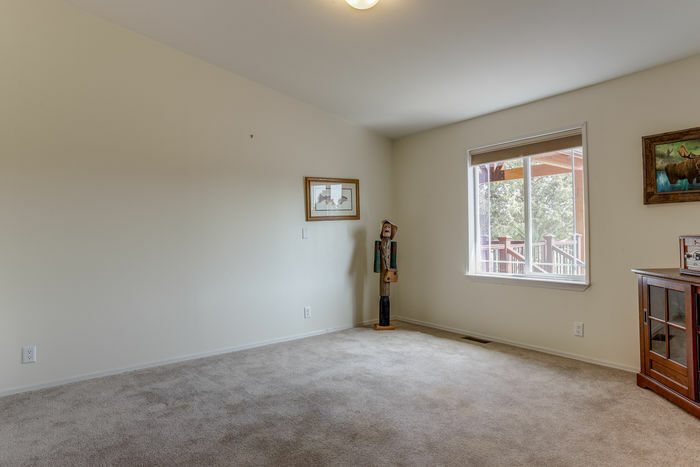 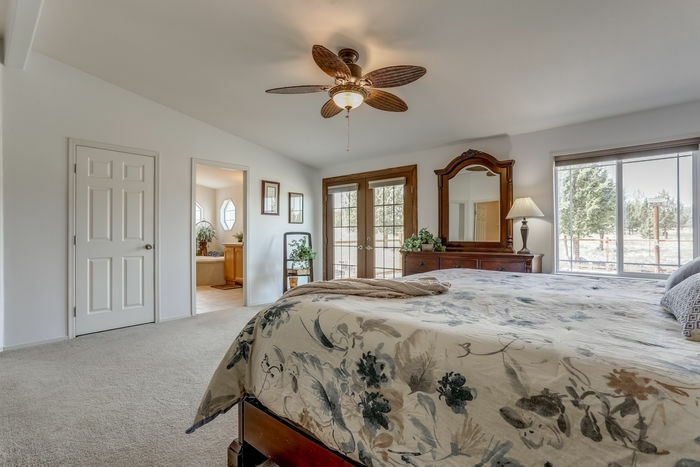 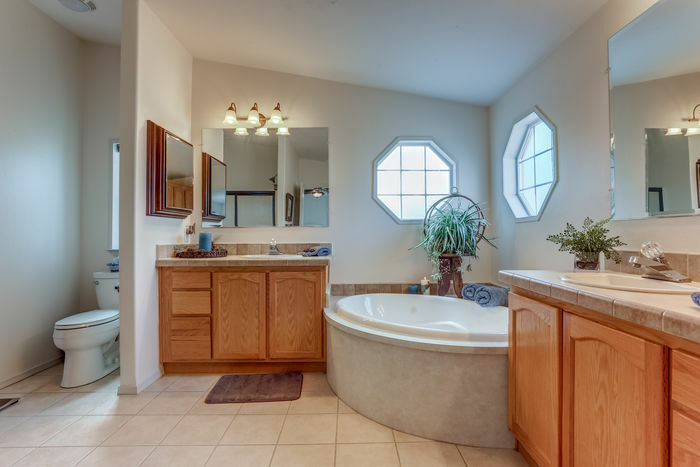 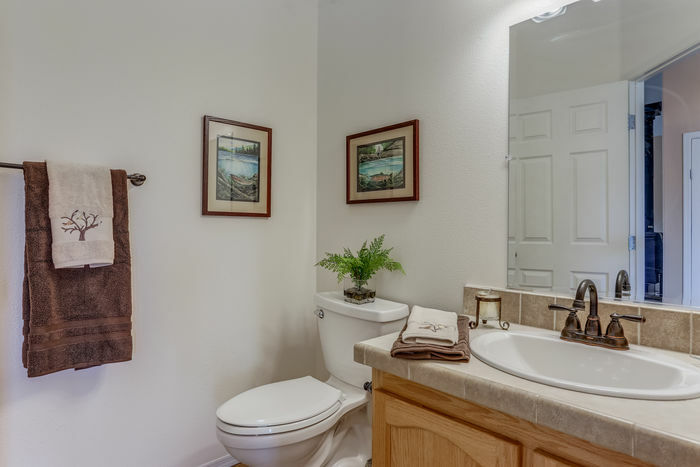 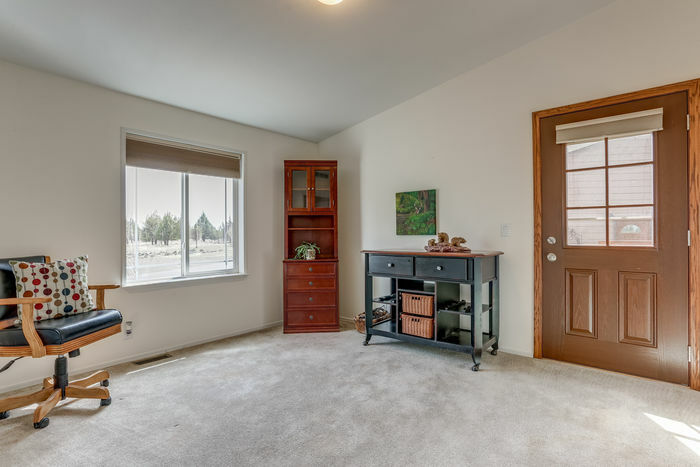 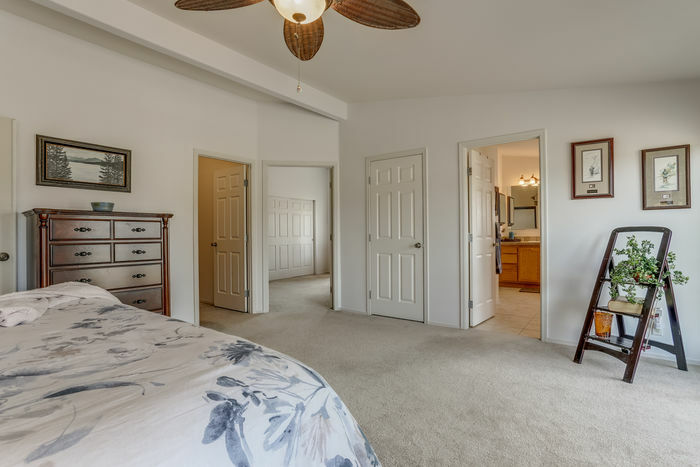 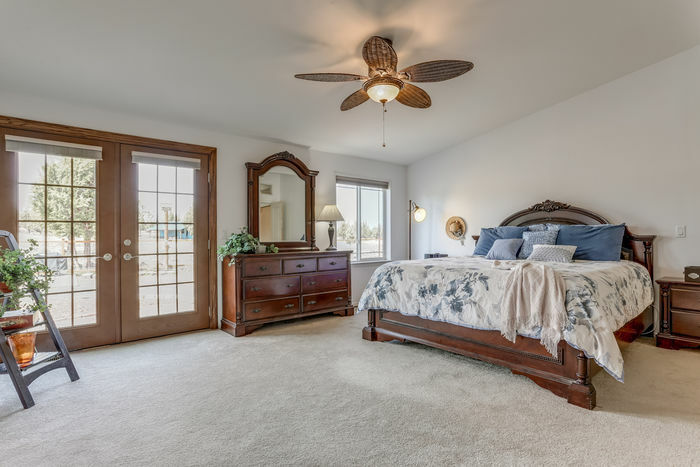 Spacious master bedroom with master bath and walk in closet . 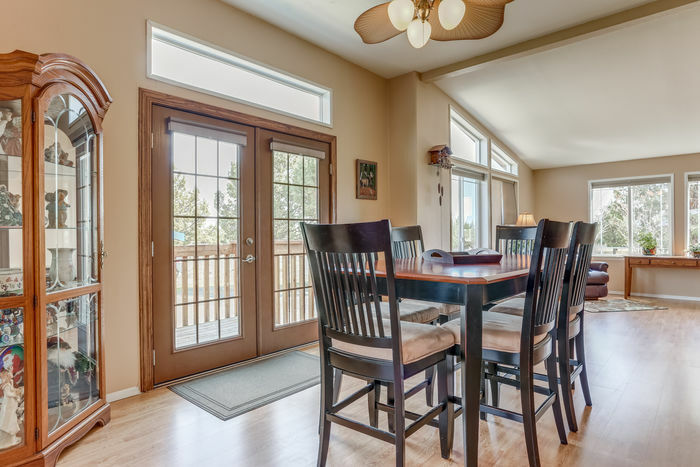 Covered Trex deck entry for shady afternoons, fenced back courtyard with gazebo and Trex deck. Temperature controlled greenhouse, landscaping with drip system. 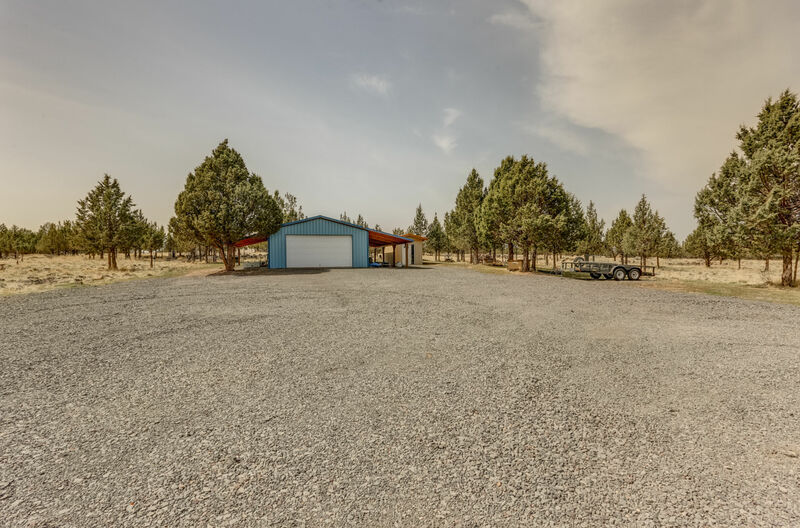 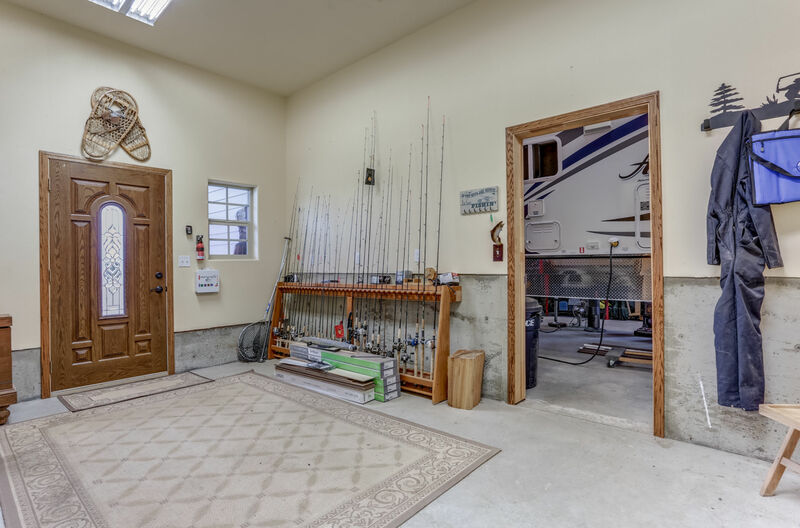 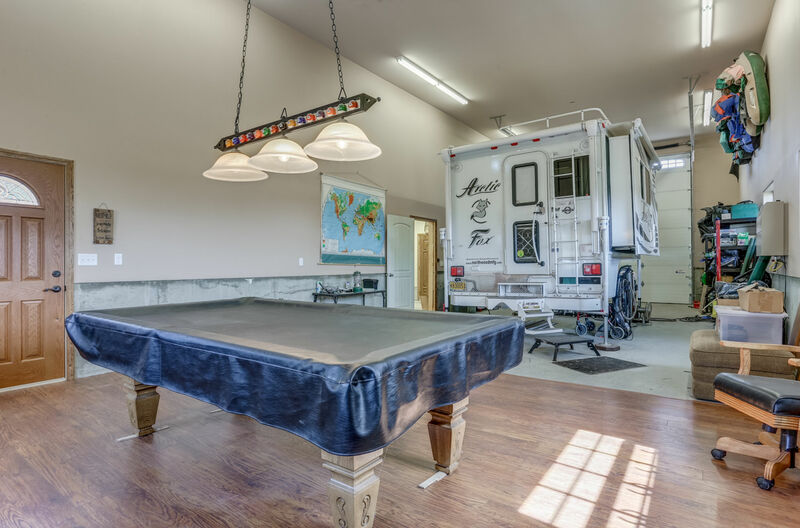 Beautiful 2300 square foot heated shop with 50’ enclosed RV parking, full bath, plus two car garage and covered outside space. 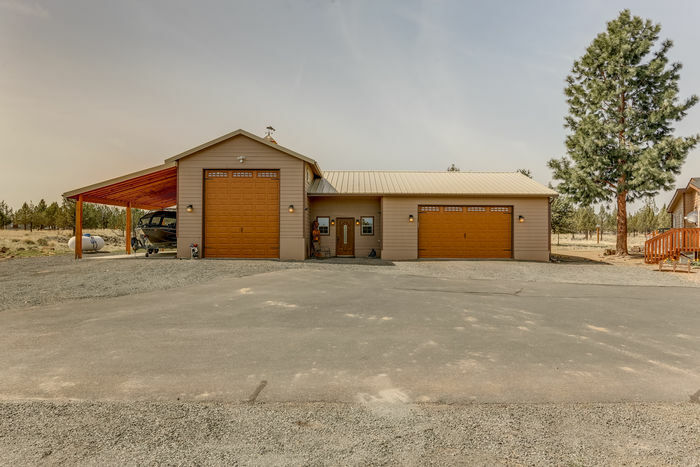 Separate smaller shop and outbuildings.